​You are completely embraced and supported. It's been too many days (or years) of trudging through the motions of making the changes you desire...sometimes it's just been put on the back burner still and other days you're at it, waiting for the seeds to harvest and get back all the energy you've been putting in. You've taken so many steps, but it still doesn't gain the traction you've been expecting. You're growing impatient, but that fear monkey on your back keeps reminding you of the story, you're not ready, or know enough, or it's not the right time. You're trying so hard, but it's never enough. And you know manifesting and creating what you want shouldn't be this hard. Life isn't suppose to feel so strained, right?! ...let's change this story, loves. The skill and process of manifesting isn't as complicated as it seems. ​ready to make a bigger impact. You have come here with a divine right to be here, no less than the power of creation. You have a right to shine your light. And with every bone in your body, you are ready to play bigger. This aching feeling to serve others, to show up differently, to be part of the collective rising and healing is no longer that quiet voice that you can push away. step into the role you have been designed for. and for and what you believe in. You have the most amazing boundaries that you are no longer sucked into the mental abyss and drama that you used to find yourself in. Your energy spent no longer on the things you know do not serve you. ​You value your time. You value yourself. ​Your attention--your focus-- has shifted. How amazing that this time in our history has been perfectly timed for you. Collectively, there is a powerful shift happening. The old ways of being are fading away. No longer will we accept the idea you need to work hard and sacrifice your values to make ends meet. This is simply not your reality. You are ready to activate. So let's get started, because, my love, you are ready. We were given the birthright of knowing. We have a powerful source of intuitive knowledge within you to guide you along the way. We only second guess ourselves if we have let this recede or fall away. Lightworkers school reconnects us to this knowing-ness and empowers us back to ourselves. We see ourselves as part of a movement for raising consciousness and healing for Humanity while allowing the work to start within ourselves. We see ourselves as magnets for change. We attract others on this journey. Manifesting is belief in action. We understand our role is to give ourselves permission to have our desire first and the willingness to bring this into real life and in real time. Manifesting is an active practise housed in the clarity available to us when we sink into our present body. Clarity is a fluid experience. We do not seek perfection, but rather we take the action guided by our intuitive body. We don’t look to gurus for the answers, but rather their guidance to come back home to what we already know. Emotions and Beliefs are Different. Fear, Doubt, Worry and Anxious thoughts are an emotional experience that we no longer judge nor attach ourselves to. They are not anchoring our beliefs. We accept them and love them because we are human and learn along the way. We thank them for showing up. A sacred sisterhood and group program that holds a collection of teachings perfectly curated to support, activate and mentor you through your journey to expand your life, your potential, your business, your relationships and your purpose. This 4 month journey is a space to grow personally and spiritually, while continuing to use aligned and purposeful strategy to get the ideas out of your head and into the world. It is a space to clear the doubt and fear away so that you can create more flow and abundance in your life and business. 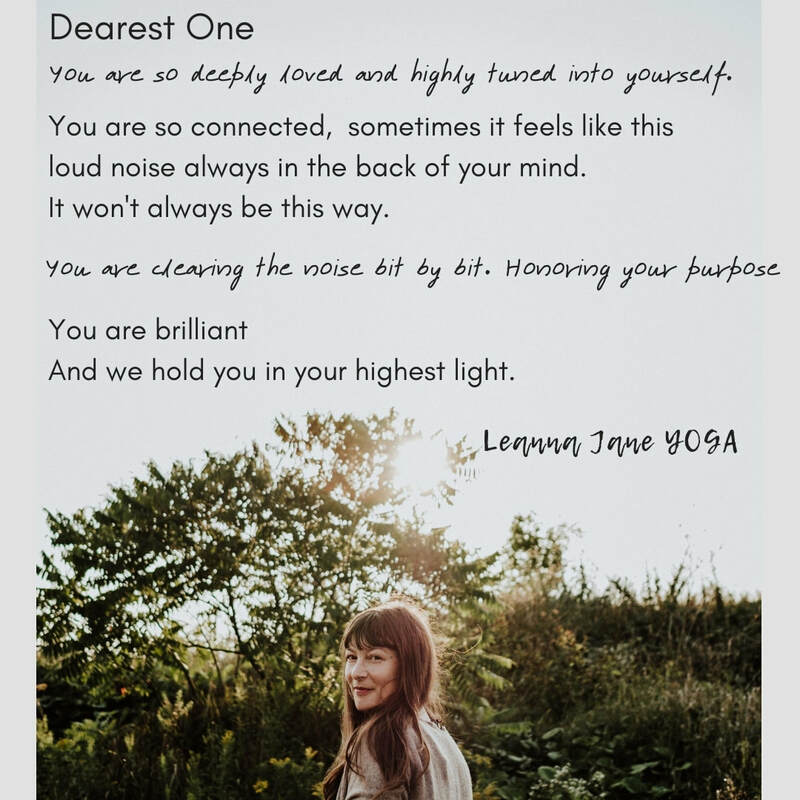 Each module has been created to deliver only the most meaningful and foundational teachings and strategies so that we can cut down the 'noise' we can feel as we create and open ourselves up. This course teaches you the step-by-step process to build and manifest exactly what it is you deeply crave. This is an intimate sisterhood, so space is limited. Grab your spot below, we start mid-January. Free clarity call: Is this program for me right now?